In the long and illustrious history of whisky, there has never been a single definitive glass that the whisky world could call its own. 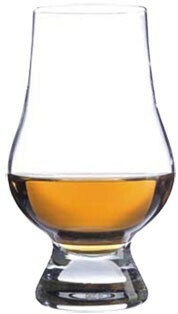 Now following in the tradition of Scottish innovation, the Glencairn Glass has arrived. Combining the knowledge and expertise of some of the Whisky world's leading innovators, the Glencairn's roots lie in the traditional nosing glasses used by master blenders around the world. The Glencairn Company in Scotland and Stolzle have partnered to create a glass for the whisky industry by the whisky industry. A glass for whisky...finally!